#AskanExpert: What is Borrower Defense and Who Qualifies for Student Loan Forgiveness? Q. I attended a school and accrued over $22,000 in student loans. I feel that I was misled to believe I was guaranteed to be able to get a job when I graduated. I’ve heard of the borrower defense to repay rule but what is it and who qualifies for student loan forgiveness? The plan made popular during the Obama administration is most widely known for being introduced in response to the for-profit Corinthian College closures. This borrower defense program is intended to protect students by allowing borrowers to directly petition the Department of Education for a discharge of some or all of their student loan debt in situations where they believe their decision to enroll was based on the lies or misleading information from the school that could be categorized as fraud under state law. Early this week a federal judge approved the implementation of the Obama Administration rules, making it easier for students to be eligible and meet the requirements to have their debt discharged. Eligibility is determined by the Department of Education. Under the newly implemented rules, if your school was closed mid-program or within a couple of years after your graduation, your debt may be automatically discharged. If not, you would have to prove that the school has defrauded you or broke the law in some way. In your case, you would have to demonstrate how your school may have misled you and did not produce results that aligned with it’s messaging regarding likelihood of post-graduation employment. If you have it, compile the necessary documentation to back up your claim and file an electronic application directly with the Department of Education. Some of the information that you will need to provide in your claim includes your personal information, details about your school, your enrollment dates and status, your program of study, and, of course, why you are asking for borrower defense. You will also need to upload any supporting documentation like transcripts, school brochures, manuals, course catalogs, and any relevant emails or correspondence you’ve had with school officials during that time. Once your application is reviewed, the Department of Education or your loan servicer will contact you with the outcome. If you are eligible for a loan discharge, they will tell you how much of your debt–if not all–will be discharged. If your loan is partially forgiven, you will be responsible for repaying any remaining amount, including any interest that may have accrued. If your application is denied, you will be responsible for repaying the entire loan balance. If you think you are eligible, submit your application as soon as you can. 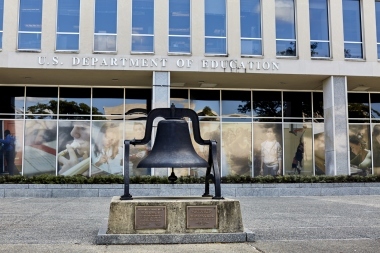 The Department of Education has its hands full processing over 100,00 applications and wait times could be lengthy, especially since it’s unknown how they will be applying the new rules. If you have questions, call the borrower defense hotline directly during their working hours at 1-855-279-6207. If you decide to wait, keep an eye on the news because the Department of Education wants to implement new rules changing eligibility criteria by 2020. And if you don’t qualify for this particular program, I encourage you to talk to an NFCC-certified credit counselor about what other options you may have. There are plenty of other programs that can help you manage your student debt. Good luck! Bruce McClary is the Vice President of Communications for the National Foundation for Credit Counseling® (NFCC®). Based in Washington, D.C., he provides marketing and media relations support for the NFCC and its member agencies serving all 50 states and Puerto Rico. Bruce is considered a subject matter expert and interfaces with the national media, serving as a primary representative for the organization. He has been a featured financial expert for the nation’s top news outlets, including USA Today, MSNBC, NBC News, The New York Times, the Wall Street Journal, CNN, MarketWatch, Fox Business, and hundreds of local media outlets from coast to coast. If you have a question about your own specific financial situation, don’t hesitate to submit your question to our experts today! If you would like a thorough review of your personal financial situation, contact one of our nonprofit credit counseling agencies today! *Some questions have been shortened and/or altered for publication purposes while others have been published as is. Founded in 1951, the National Foundation for Credit Counseling® (NFCC®) is the nation's first and largest nonprofit dedicated to improving people's financial well-being. NFCC members help millions of consumers like you through community-based offices located in all 50 states and Puerto Rico. Each NFCC member agency has earned our seal by adhering to high standards and ethical practices designed to help you achieve financial stability. Funding for operations and services comes from an ever-changing combination of federal, state and local government grants, as well as donations from financial industry participants and private donors. Thank you to our funders. The Sharpen Your Financial Focus™ program is an initiative of the National Foundation for Credit Counseling (NFCC) in partnership with a broad cross-section of supporters. Together, we are committed to increasing the financial well-being of Americans. This initiative is partially funded by Bank of America, Chase, Synchrony, Wells Fargo and other major financial institutions. We thank all funders and partners who make this program possible. For more information, visit www.SharpenToday.org.